How can you use visual merchandising to boost sales? As London Fashion Week kicks off, it seems that shopping for clothes has never been simpler. Indeed, Mintel’s Online Fashion UK 2017 Report reveals that this year Brits are set to spend an impressive £16.2 billion on online sales of clothing, fashion accessories and footwear—at the click of a button. In 2017, the online fashion market will increase 17.2%, continuing fashion’s spot as the most popular category bought online. Over the past five years, sales of online fashion have soared, doubling in value since 2012. What is more, online sales of fashion have increased to account for 24% of total fashion spend in 2017, up from 17% in 2013. But while online fashion sales continue to show spectacular growth, overall sales of clothing are forecast to grow by just 1.3% in 2017. Highlighting the popularity of online-only retailers, Mintel research shows the importance which pure plays are having on the clothing and footwear sector, as today they account for approximately 38% of the UK online fashion market. 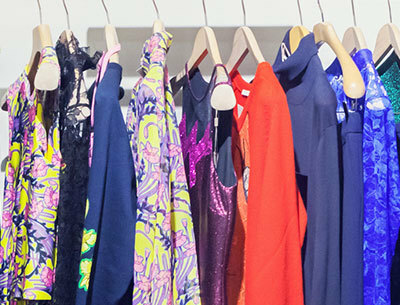 Over the next five years, the online fashion market will continue to see strong double-digit growth, with the market forecast to increase a further 79% by 2022, reaching just under £29 billion. Just under seven in 10 (66%) internet users in the UK have bought fashion items online in the last 12 months, rising to four fifths (81%) of Millennials. But online fashion is not only clicking with the young, as 54% of over-45s have bought some of their clothing and footwear online. Young women are increasingly shopping online for fashion, with 85% of female 16-24s having purchased their garments online. And it seems it is the fast fashion pure plays that are tapping into demand from young women for constant newness, with 71% opting to shop at retailers that sell frequently updated ranges. Meanwhile, women (71%) are over 10 percentage points more likely than men (60%) to have bought clothes online. With only 15% of online shoppers buying all of their fashion items online, the vast majority also shop for clothes and shoes in-store, highlighting the importance of having a joined-up overall shopping experience. While over four fifths (84%) of online shoppers have used a laptop/desktop to buy fashion online, the use of mobile devices is growing, with almost half (48%) of Millennialsn having bought fashion from their smartphone. “The ease of purchasing via a mobile device is helping to fuel online demand. Retailers are continuing to invest in offering mobile-ready sites. As smartphones become an everyday part of life, brands should assume that their audience have a connected device at their fingertips at all times, ensuring accessibility anytime, anywhere.” Tamara adds. Half (50%) of online clothes shoppers have returned fashion items they purchased online, rising to 56% of female online clothes shoppers and 60% of women aged 25-44. But for some, the inconvenience of returning goods proves too much trouble, as a third (34%) of online fashion shoppers overall have kept products they don’t want due to the hassle of returning them, including 41% of females aged 25-44. Overall, three quarters (73%) of online fashion shoppers want more return options such as collection from home or drop-off at multiple locations. “Returns remain a big issue for the fashion sector. As sales of online fashion rise, retailers are looking to find the right balance between the costs incurred for deliveries and returns and ensuring the process is convenient and cost-effective for shoppers. Retailers can also look to make the returns process an engagement opportunity by personalising the process and offering different products and relevant promotions to encourage customers to buy alternative items.” Tamara continues. Finally, three quarters (76%) of online fashion shoppers are interested in improved delivery options rising to four fifths (80%) of male shoppers aged under 45. Meanwhile, entertainment is where it’s at for the 44% of online consumers who are interested in virtual reality (VR) experiences when shopping online for fashion. Showing the appeal of VR among the nation’s mums and dads, some three fifths (60%) of parents of under-5s expressed an interest in virtual reality experiences when shopping online for fashion. “As consumers have become more accustomed to shopping for fashion online, their expectations have been raised and retailers will have to invest more in the online shopping experience to drive sales. Delivery is becoming a key online battleground and the use of delivery passes and more dynamic delivery options could increase loyalty towards a specific retailer. As consumers crave experiences, retailers will also need to elevate the online shopping experience and make it more entertaining through the use of technology, such as live video on social media platforms, virtual reality and personalised customer service and stylist options.” Concludes Tamara.